Welcome to the most comprehensive online NC mountains Visitor Guide. For a weekend or a lifetime, find your special place in the mountains AND	what to do once you get there. If you know your NC Mountain Cities you can go directly to an individual city guide for complete local information and links. From NC Attractions and Parks to hiking fishing golf and NC skiing we will guide you through all the mountain adventures, natural wonders, mountain arts and crafts shops and galleries and mountain music. 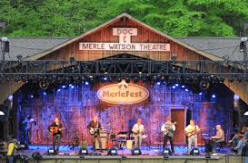 Celebrate spring and help kick off festival season at MerleFest, considered one of the premier music festivals in the country. 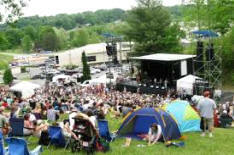 MerleFest is held on the campus of Wilkes Community College. 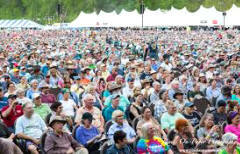 The four-day festival features over 90 artists performing on 14 stages, including the Old Crow Medicine Show, Steep Canyon Rangers John Oates and more. Additional activities include Jam Camp, nature walks, Songwriters Coffee House, AcousticKids Showcase, Little Pickers Family Area, Pickin' Place and Vender Shoppes. Our 1000s of direct links allow you to find instant information for everything you need to have a memorable mountain vacation - all on one, easy to use website. Not sure where to go? 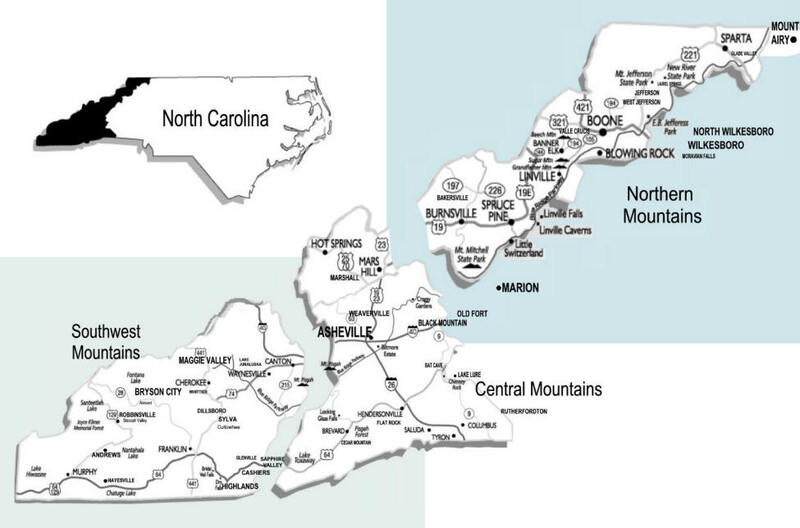 Our Map Page of the North Carolina Mountains locates all the cities and towns, plus the NC Counties and their cities as well as an interactive map for finding routes and roads. Shop NC stores online before or after your trip, Find hiking boots, backpacks, camping and fishing gear and everything you need for outdoor adventures from some of the leading names in outdoor gear. 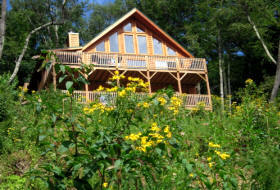 This visitor Guide includes 1000s of direct links to NC cabins, vacation rentals, cottages and condos in more than 50 NC mountain cities. Each listing includes rates, number of bedrooms and basic features and amenities so you can quickly find exactly what you're looking for, then click through to get availability, photos and details or make online reservations. Find your fully furnished Home Away from Home. 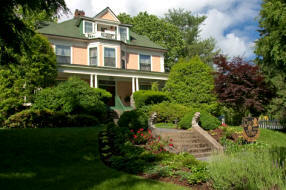 A quiet mountaintop inn or bed and breakfast is just what the doctor ordered for de-stressing! Enjoy all the comforts of home without any of the work. From beautiful views in secluded settings to downtown convenience, you'll find a match for your personal style with hundreds of choices in all the Western Carolina Mountain areas. Mountain Inns include such amenities as a gourmet breakfast, luxury linens and WIFI. The NC Mountains offer some of the best campgrounds, RV Parks and camping facilities in the country. There are hundreds of campgrounds, both private and in public parks. Year-around moderate temperatures in the NC Mountains make "getting back to nature" as easy for the weekend camper as the experienced RV traveler. 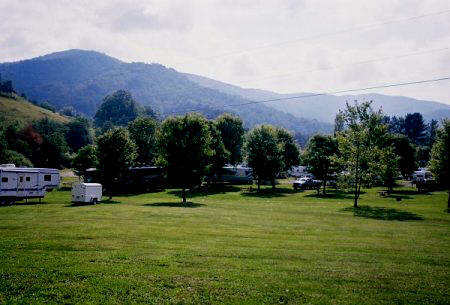 Many campgrounds offer mountain views and extensive amenities, including WIFI. North Carolina attractions offer year-around mountain fun, adventure and cultural experiences. Some of the most visited NC attractions are Biltmore in Asheville, The Blowing Rock, Tweetsie Railroad, Grandfather Mountain, Chimney Rock Park and the Cherokee Indian Village. Each mountain city has its own, unique attractions, many developed from a local natural wonder or centuries-old heritage..
NC mountain art galleries, artists and indigenous NC mountain crafts are, like the mountains themselves, a true natural resource. From the centuries-old functionality of a split oak basket to a whimsical mixed media sculpture from Penland School of Crafts, the quality and variety of arts and crafts of Western Carolina is among the best in the country. When you take home a handmade treasure from an NC gallery, you take home a little piece of the mountains. The NC mountains offer an exceptional trout fishing haven with an estimated 4,000 miles of trout water with approximately 2,000 miles managed for public fishing. Fly fishing in a North Carolina mountain stream is enjoyed equally by experienced fishermen and beginners alike. North Carolina fishing in the mountains offers fishing on rivers, streams, lakes and ponds. A visit to an NC Park will be a highlight of your mountain vacation. North Carolina mountain parks are among the most pristine and beautiful in the world offering hiking, camping and 1000s of waterfalls, creeks and rivers. The largest NC parks are the Blue ridge Parkway and the Great Smoky Mountains National Park. Park nature and educational centers are available for trail maps and visitor information. A NC Ski Resorts offer the highest mountains east of the Rockies with skiing from November through March. Beginners or advanced skiers, snowboarders, snow tubers or ice skaters will all find a ski area to enjoy. NC Ski Resorts and Areas include: Appalachian Ski Resort, Beech Mountain Ski Resort, Sugar Mountain Ski Resort, Cataloochee Ski Area, Sapphire Valley Resort and Wolf Ridge Ski Resort. 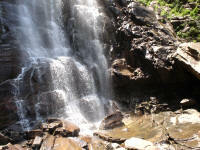 Thousands of waterfalls can be found throughout the Western North Carolina mountains and most are easily accessible by well-maintained footpaths. There are over 250 in Transylvania County alone (known as the land of the waterfalls) with many located within the Pisgah National Forest, Dupont State Forest and Gorges State Park. Virtually every North Carolina river begins or ends with a waterfall, some extending as high as 400+ feet. Get everything you need on ONE easy to use page for each of our 50+ NC mountain cities. We've done the searching so you don't have to. Get a city map and 100s of direct links to cabin and vacation rentals, Inns, camping, restaurants, maps, weather, attractions, outdoor activities, galleries, shops and more.